I have been trying to complete this trail for the last couple of days. I have created a few brand new playground accounts but am unable to get it working. Issue - seems as if Quip Document does not show up in the Custom Apps - it is in the list of standard apps. Any idea what could have changed? I enabled mydomain and have googled for the last 48 hrs but not getting anywhere. Is there anyway to raise a ticket to get some support? I sepnt days going over this error "
The sharing rule that shares Opportunities owned by Field Sales users with Inside Sales users does not appear to be setup correctly. I am working on the Trailhead Build Logic to Reassign Accounts and I get the following Error even after using a new DE to check the challenge. Superbadge Lightning Experience Rollout Specialist Challenge 7. Can anyone to fix this error please? I'm trying to complete the 2nd challenge in the App Customization Specialist superbadge and am getting the following error when checking the challenge. This is a new DE that was created for this Superbadge. The first challenge was successful. I have a problem figuring why i am receiving this notification when I am trying to complete the Secure Your Users' Identity challenge...Anyone can help? I am doing "Lightning Experience Reports & Dashboards Specialist" Challenge . I suggest you please REFRESH THE DASHBOARDS before checking up the challenge. If the problem persists, log out of all accounts and log in once again in a different browser by clearing the cache and cookies which should probably do the trick. Also, this kind of error pops up due to renaming reports or dashboards label after creation or when you Clone dashboards. Thus for any further challenges: DO NOT CLONE Dashboards or Reports. Always create from scratch. Delete it from the bin as well. Refresh dashboards before checking up the challenge. You can also refer to the below link from developer forums with a similar discussion which might help you further with the above issue. Kindly let me inform if it helps you and close your query by marking it as solved so that it can help others in the future. It will help to keep this community clean. 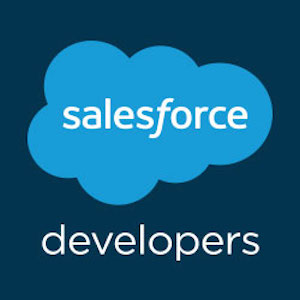 Trying to complete the "Prepare Your Salesforce Org for Users Module: Create Chatter Groups"
I'm using a new DE for the challange and the error still persists. I am working on a trail for future method, my method finds the number of contacts on account and updates the "Number of Contacts" field on the Account. Everyhting is working as expected but in the test class while asserting the output, the SOQL is not pulling this field. At line 73: is wehre, I am not able to pull the Number_Of_Contacts field from Account. It is pulling the ID and Match Billing Address field. You are missing update DML operation in your future method , you need to update the records to store the counts in database account object.